One of our absolute favorite things about this diverse city is the amazing food options. Seriously, people move to Houston and mysteriously start gaining weight. As you know, 2 Girls Who Travel are avid foodies, so we thought we’d share a few good spots to grab a bite or two to eat. By no means, is this an all-inclusive list. In fact, it barely scratches the surface. We just thought we’d highlight a few places we’ve visited recently that satisfied our palates. Hungry? Houston’s got you covered! 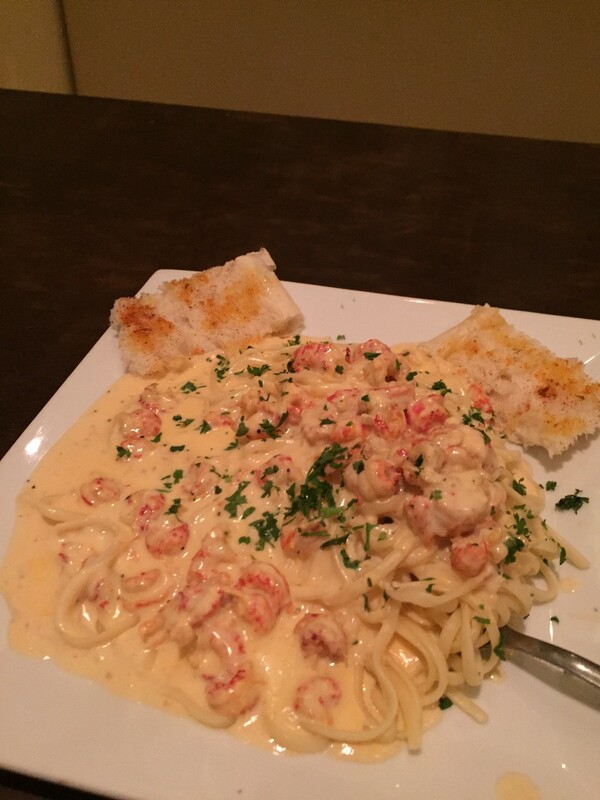 Crave Cajun Seafood* – 5887 Westheimer, Ste. K, Houston, TX 77057 – In the mood for some seafood with a kick? Well this new restaurant (it opened in the summer of 2015) just might do the trick. 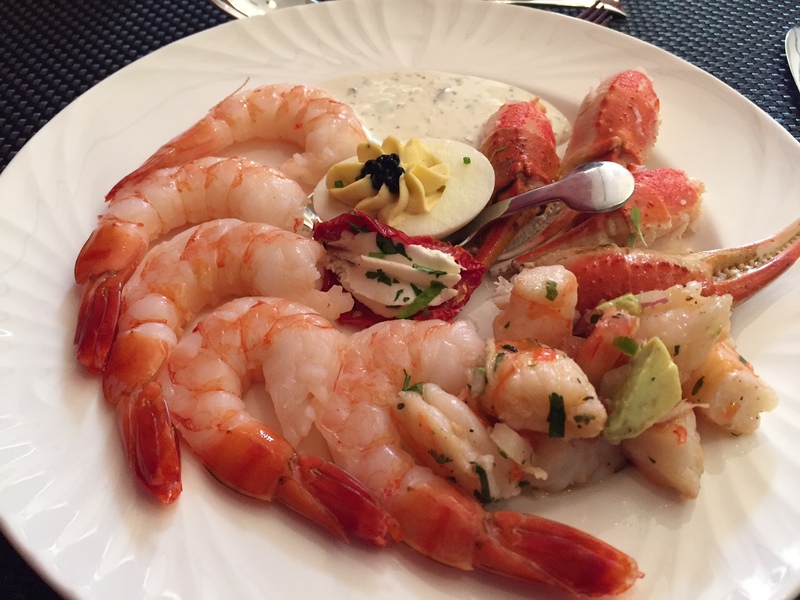 Located on Westheimer near the Galleria, Crave Cajun Seafood boasts a menu of Louisiana greats at an affordable price. 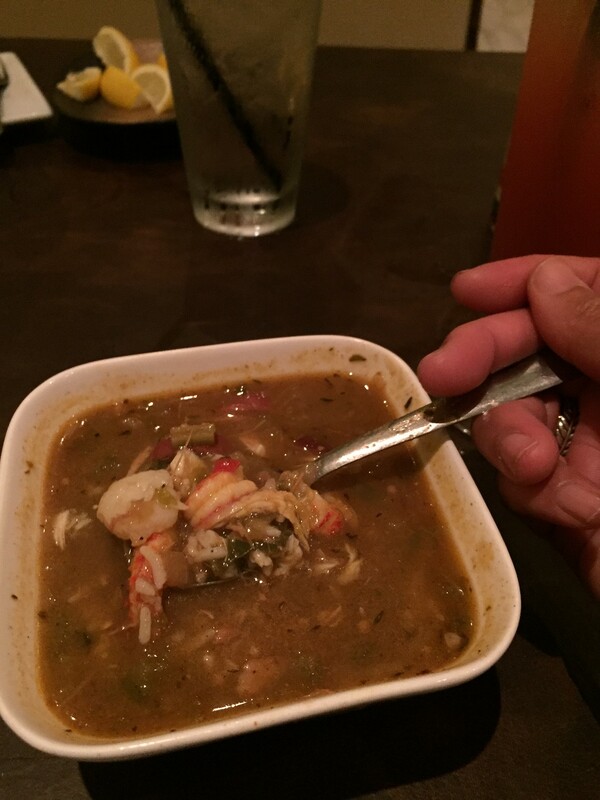 Be sure to order a cup of their seafood gumbo – thank us later. in the Four Seasons in Downtown Houston, Quattro pleasantly surprised us with a Sunday brunch that was to die for! Quattro serves up traditional Italian cuisine and we enjoyed their seafood bar, omelette station and dessert bar with a crème brulee that did not disappoint. Did we mention the bottomless drinks? Mimosas, bellinis and bloody marys! 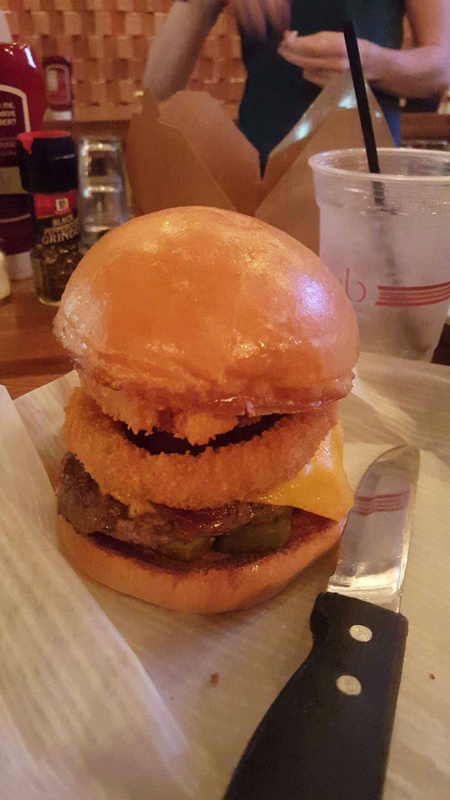 Grub Burger Bar – 799 Town and Country Blvd #200, Houston, TX 77024 – Craving a burger? Why not opt for a burger, fries loaded with pulled pork and pineapple and a specialty shake? You can get it all at this restaurant, located in Houston’s City Centre. With signature burgers like the Guacapotle and Texas Luau, you can’t go wrong. And there’s even an extra late night happy hour (M-TR, 9-10pm), for those who like to dine later! Davis Street at Hermann Park* – 5925 Almeda Road, Houston, TX 77004 – Executive chef Javani King is the creative mastermind behind the delicious foods at this Museum District restaurant. This is one of our favorite places to stop for dinner. Be sure to pair your order with a glass of wine or specialty cocktail – ask your bartender for recommendations. 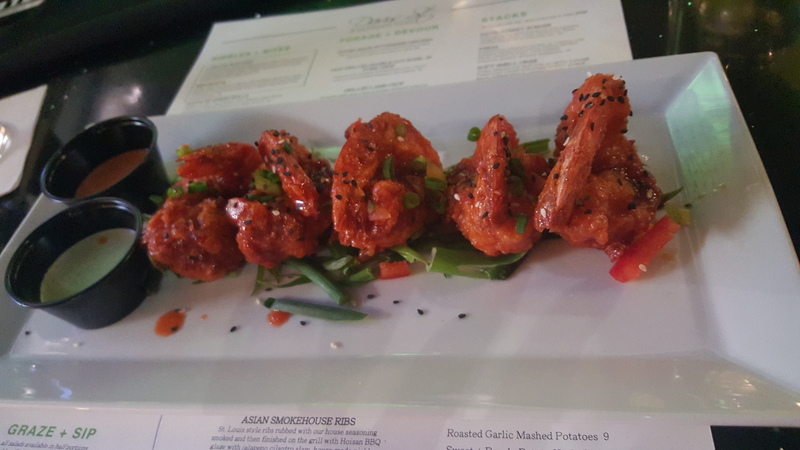 And you cannot leave without ordering our personal fave: Crispy Thai Shrimp. Yes, they’re as good as they sound! 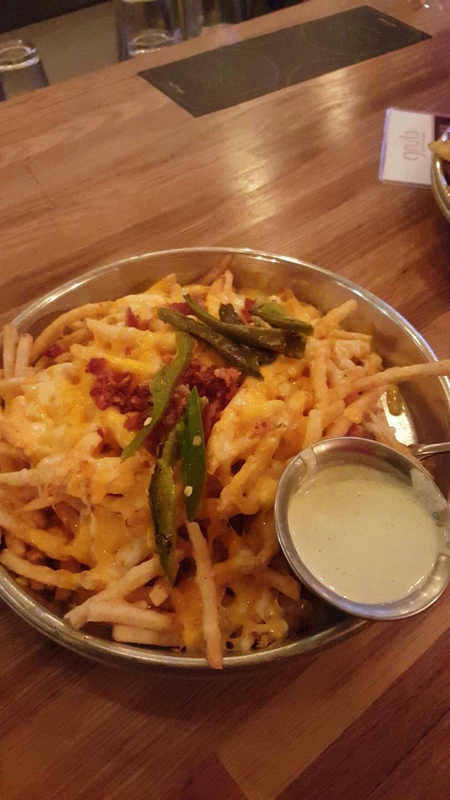 What’s your favorite Houston food spot? Let us know in the comments! *Editor’s Note: This restaurant has now closed.